Made of good quality glass fiber cloth and composite PTFE resin, the surface is smooth, high brightness. The fabric has high temperatures resistance, abrasion resistance, corrosion resistance, and it is non-toxic, odorless, tasteless. It must be a necessary choice in the kitchen. High temperature range, conventional temperature -70-260 ℃, the highest can amount to 380 ℃. Fits virtually all gas hobs and is non-stick. Can easily be removed when cleaning. Wash in hot soapy water or in dishwasher - fully reusable. Protector can be trimmed to fit different gas stoves. 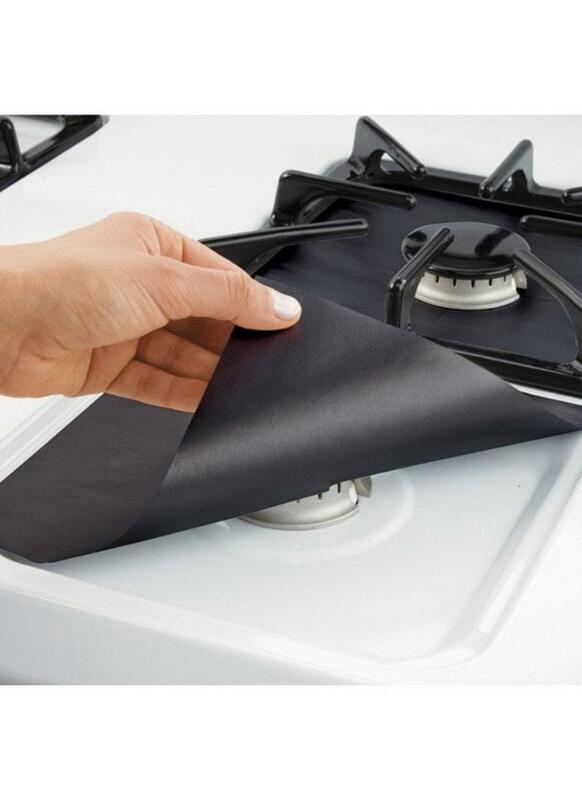 The hole of protector must be trimmed with scissors to fit your gas stove properly before use. For gas stove, put protectors under burner grate below the flame. Protector must be clear of any flame to avoid possible file injuries or product damage.